We all get a little anxious waiting for our deliveries to be sent to someone or when we’re waiting for it to reach us. Sometimes it’s not enough knowing that your parcel will be reaching you on a specific day - you want to keep an eye on its precise location too! Say goodbye to relying on traditional tracking numbers, and know exactly where your goods are with our real-time tracking. Plus enjoy the added bonus of knowing your driver’s details that makes it all more secure! With our increasingly busy lives, anything that can simplify it makes it a must-have! Having our items both picked up and sent to our doorsteps, lets us go about our lives seamlessly and also makes sure that the whole process of delivering is hassle free. With Lalamove’s bike, car and van orders, door-to-door delivery is included! This means, you spend more time on things that matter while Lalamove makes sure your deliveries are fulfilled. With the logistics game rapidly evolving, and companies like Lalamove being a key player to making delivery more efficient than ever, we can now say goodbye to Next Day Delivery as the quickest option. With Lalamove’s bike and car deliveries, send anything around Singapore with our same day delivery within just 55 minutes. 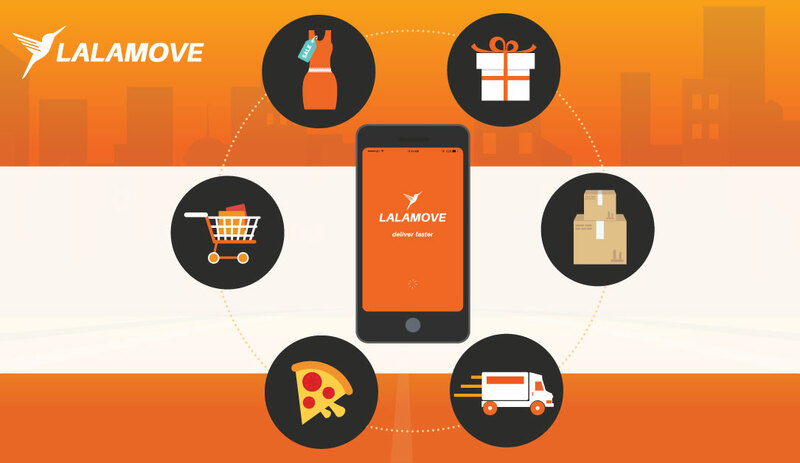 This also means, Lalamove can be your preferred choice with running any last minute errands, sending urgent documents, sending a gift to your loved ones or getting shopping goods delivered home. We live in a tech-focused and on demand world, and most of our tasks are easily done via our mobile phones, tablets or PCs. We’re obsessed with getting our lives sorted without any fuss involved. That’s exactly how Lalamove fits in. Skip the need to worry about getting last minute items delivered or plan months ahead for a big move. Lalamove is there to make sure your delivery orders get matched with a driver as and when you need it! It could be 2pm or 2am - we got you covered with our on demand delivery service. As cliche as it sounds, time is money for most of us. Every minute we waste waiting for another delivery to arrive could have been spent more productively. We all have those days where we could have left something important at home while we’re already at work. Or it could even be needing to send an urgent document over to your clients. Why waste time making a trip down when you probably have 10000 other things on your plate? Simply Lalamove it to make sure your items are delivered to you.